PUNE: Eisai Pharmaceuticals India Pvt. Ltd, a leading Japanese pharmaceutical company announced the launch of Fycompa (perampanel), a new anti-epileptic drug. Approved in more than 55 countries worldwide, Fycompa is indicated as an adjunctive therapy for the treatment of partial-onset seizures (POS) with or without secondarily generalized seizures in patients with epilepsy aged 12 and older. Adding to this Dr. Manoj Malhotra, Head of Medical Affairs, Americas Region, Global Head of Epilepsy Medical Affairs, Neurology Business Group, Eisai Inc. said “With the launch of many anti-epileptic drugs in the last decade we have seen a significant improvement in seizure freedom rate. However, almost 30-40% of the seizures remain poorly controlled leading to low compliance. Fycompa will help to address these key therapeutic challenges and improve patient outcomes”. 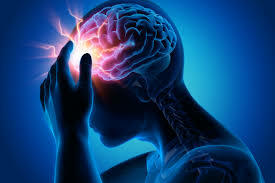 Epilepsy is a condition that affects the brain and causes repeated seizures. Approximately 50 million people worldwide have epilepsy, making it one of the most common neurological diseases globally.